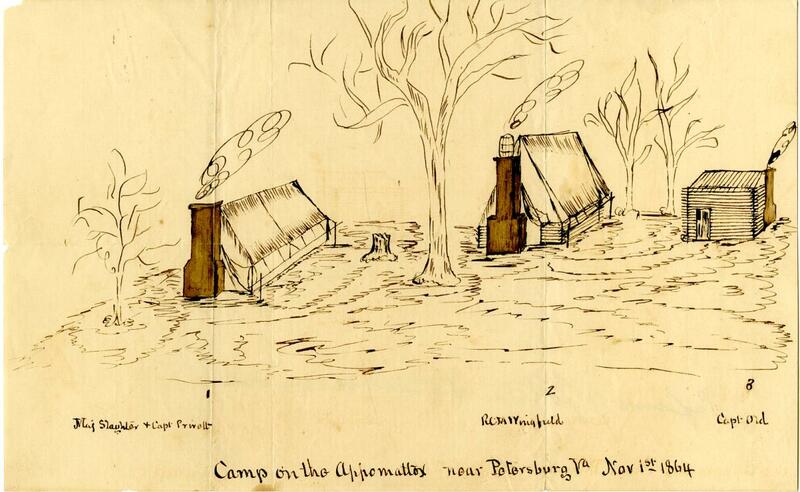 Item Description: Sketch of a camp on the Appomattox near Petersburg, VA. This entry was posted in Southern Historical Collection and tagged Appomattox, John S. Henderson Papers, Petersburg, Virginia. Bookmark the permalink.